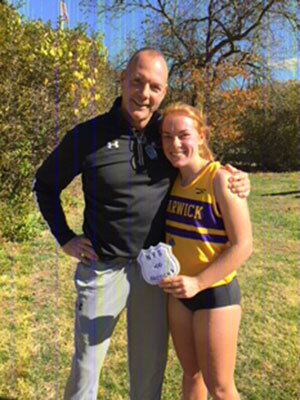 Warwick Girls XC have a strong showing at the Section 9 Class AA meet on Nov. 4. 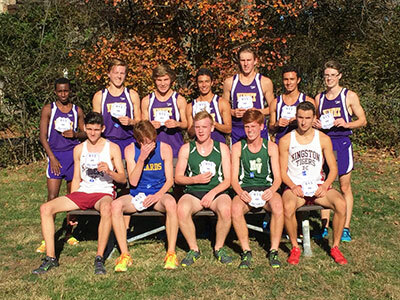 BEAR MOUNTAIN – “Jennie Prial remembers being dragged to Bear Mountain as a first-grader to watch her older brothers run in championship cross country meets and she learned to love the family trade. She says there was no pressure to succeed like her four sisters and brothers had done in years past for Warwick but she would have felt a bit empty if she couldn’t deliver one big win. Friday was going to be Prial’s final race at Bear Mountain and she promised herself to make it special. 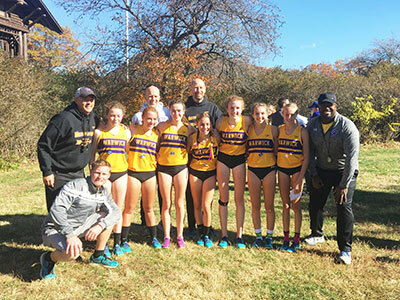 So she charged up the big hill in third place, came down in first and basically stared down the stiff challenge by team champ Monroe-Woodbury to win the Section 9 Class A championship. Prial teared up as she accepted the congratulations from her family and she made sure to text her two brothers currently serving in the Army.